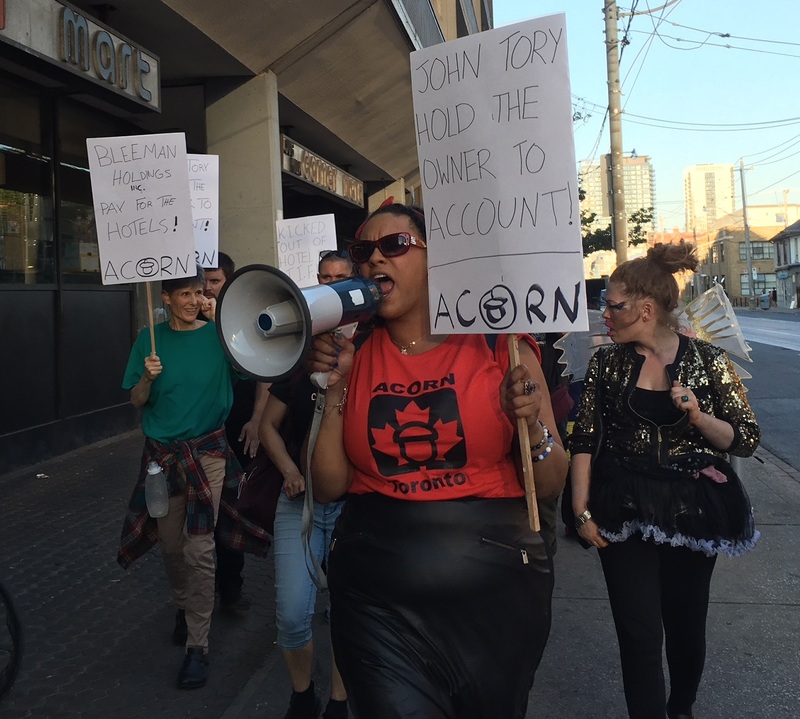 On September 5th, ACORN members and 650 Parliament tenants marched from the Regent Park Community Centre to the management office at 260 Wellesey to demand accountability from Bleeman Holdings Limited. 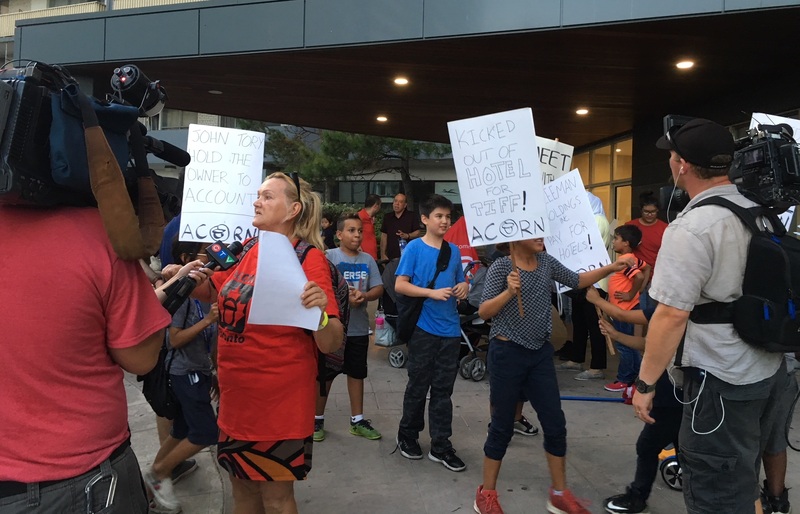 ACORN members and displaced residents of the 650 fire demand safe housing for all residents and refuse to be pushed into shelters. 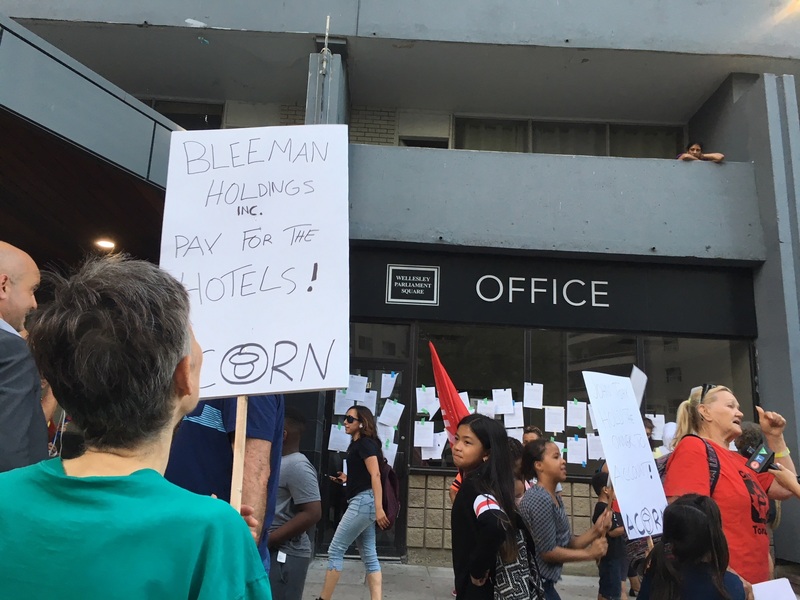 Since the management would not allow us to deliver a letter of demands during the previous 650 protest on August 31, we decided to tape enough letters to the window for Bleeman Holdings Limited to get the message that we will not be ignored. Check out more on the campaign, and the press here - and stay tuned for more!